Your time is up. Please redo. Join us on April 24th, from 6-9pm for a Betabrand Think Tank + SF Fashion Lab design challenge. You'll have the chance to sip, shop, and snack, before watching six up-and-coming designers pitch their Betabrand products to our panel (think a friendlier Shark Tank, with less billionaires). "Win a design & development meeting with Betabrand’s Think Tank Team and get your winning design on the Think Tank voting page"
Each designer will have 5 minutes to introduce themselves and their design inspirations, and present a concept apparel design (renderings or finished sketches prepared in advance) suitable for a Betabrand Think Tank voting campaign that meets the following judging criteria: "After analyzing Betabrand, create a unique and compelling design that works as a stand-alone fashion item for Betabrand, but also coordinates with and enhances, extends or transforms another Betabrand top-selling fashion". Find out more about Betabrand Think Tank that develops new designs from prototypes and generate sales through crowdfunding. Betabrand is an online clothing community, based in San Francisco. We design, manufacture, and release new products nonstop. Brand-new ideas spring to life on our site every day. Our fans co-design and crowdfund them into existence in a matter of weeks. Betabrand is home to Web hits like Cordarounds, Executive Hoodies, Bike to Work Pants, Disco Hoodies, Sons of Britches, Sock Insurance, and many, many, many more. 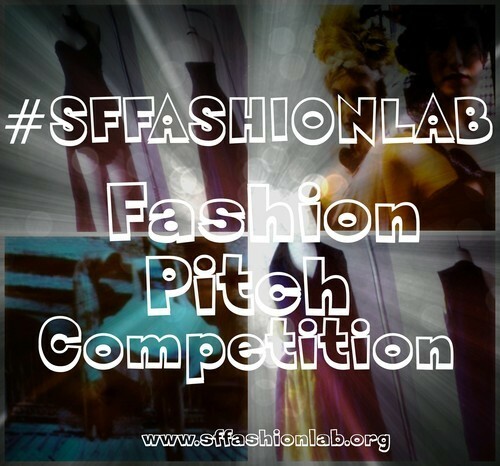 Find out more about #SFFashionLab: #SFFashionLab is SFFAMA’s fashion incubator project for talented emerging designers. Leveraging the heritage, creativity and entrepreneurial spark of the San Francisco Bay Area as a “living innovation laboratory,” participants will experience San Francisco’s unique fashion industry DNA, evolving fashion personality, and the impact of technology and innovation on future strategic directions, as a primer to explore and inform their own individual design process and direction. SF Fashion Lab’s program includes Advisory Board business and strategy mentorship, a design and online retail project, events, and a behind-the-scenes look at new business with innovative Bay Area brands, designers, developers, manufacturers, retailers, and startups. San Francisco Fashion and Merchants Alliance, Incorporated [SFFAMA] is a 501(c)3 education and economic development non-profit corporation supporting fashion, design and technology entrepreneurs, startups, and communities. The largest fashion industry organization in California. SFFAMA provides business, technology and fashion industry education and resources while serving as a business and social impact development network for our 10,000 members and industry partners. Member San Francisco Citizens Initiative for Technology and Innovation (sf.citi). JOIN SFFAMA HERE. Digitally styling fashion with media and tech. FashionTechPR/Fashion Tech Media © LLC. is a brand development consulting firm and boutique publicity entity specializing in digital media focused in the wearable tech, fashion and tech industries FashionTechPR/ Fashion Tech Media LLC.works with fashion startups in SF, NY, LA:Silicon Beach and Silicon Valley. For innovative ideas, marketing inquiries, media relations, strategic partnerships, product promotions, sponsorship opportunities, adopter resources, social change issues, business of fashion consultation and booking info. Contact Owen Geronimo at FashionTechPR.com via email at: info@fashiontechpr.com.